Victron SmartSolar charge controllers gather energy from solar panels and stores it in batteries. Using the latest technology, SmartSolar charge controllers maximise energy harvest, driving it intelligently to achieve full charge in the shortest possible time. Victron SmartSolar enables ultra fast maximum power point tracking. 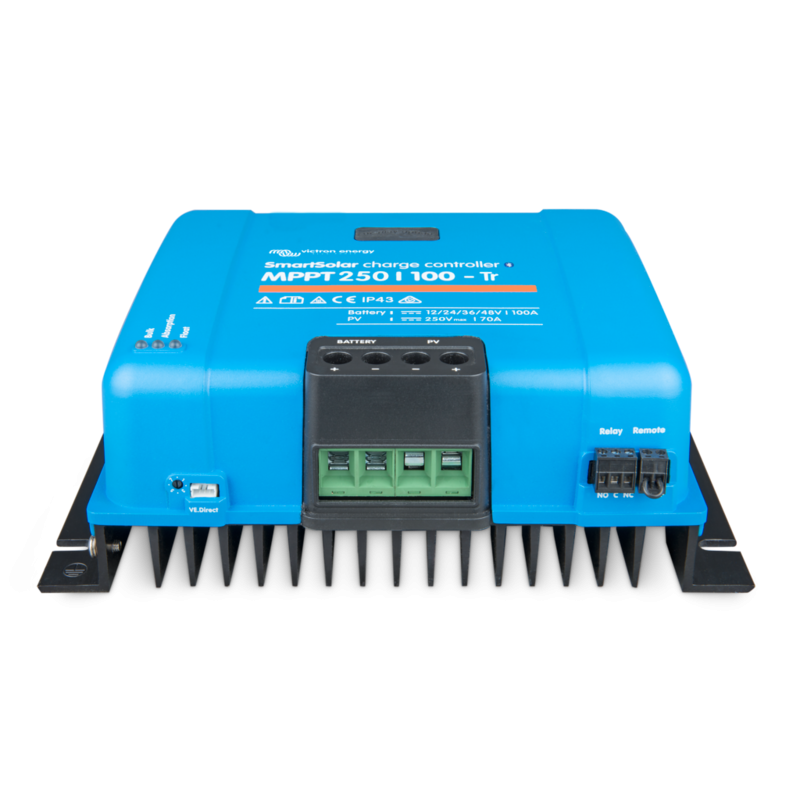 By constantly monitoring the voltage and current output of solar panels, this MPPT technology ensures that every drop of available power is collected from panels and stored in batteries. The advantage of this is most noticeable when the sky is partially clouded or light intensity is changing. If installation is connected to the internet, Victron Remote Management Portal provides access to the full power of your MPPT anytime and anywhere; even when there is no internet connection or phone signal nearby MPPT can be monitored by bluetooth-pairing with a long-range wide area network (LoRaWAN) - optionally available device.